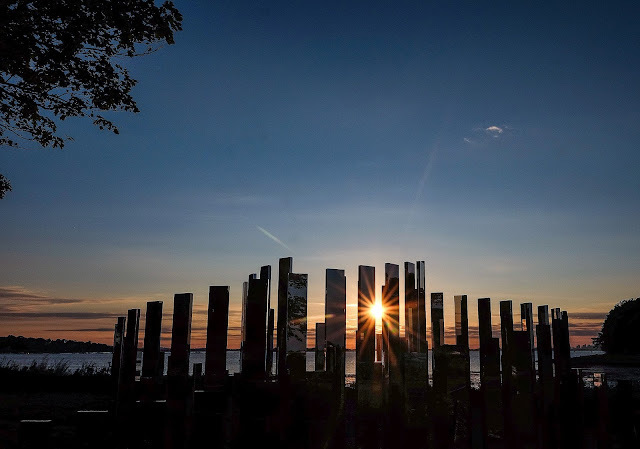 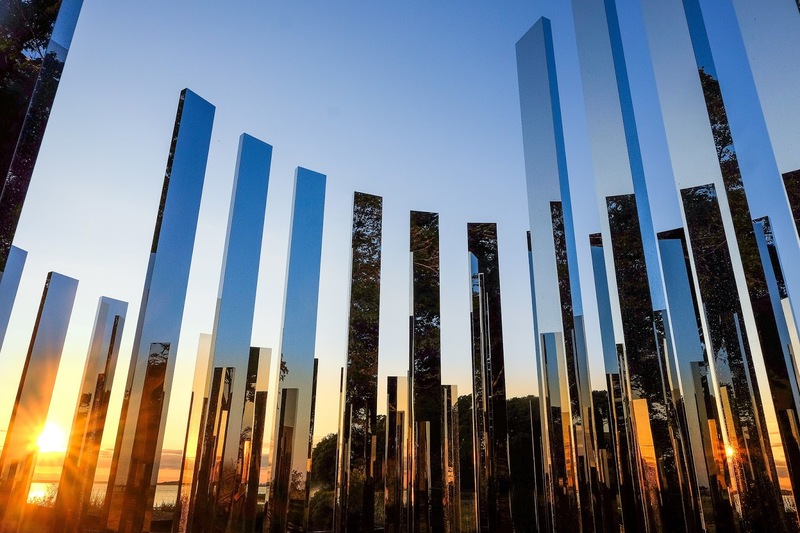 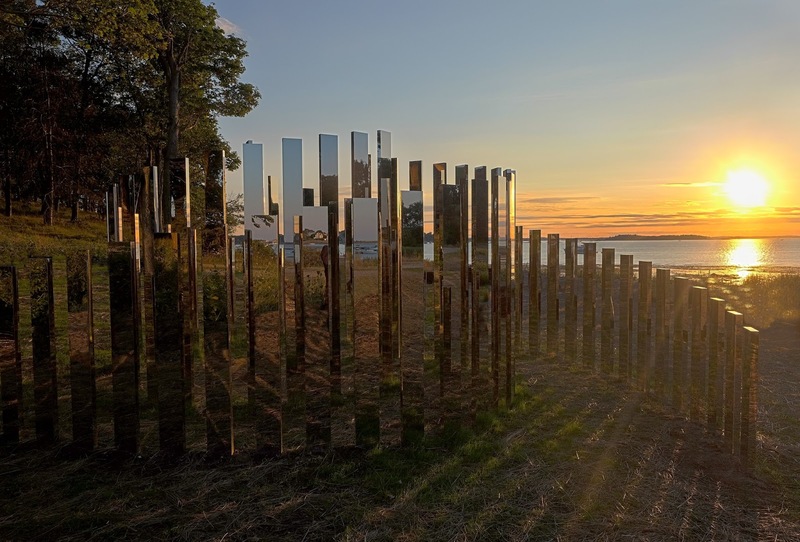 Berlin and Copenhagen-based artist Jeppe Hein’s whose work often combines elements of humor with the traditions of minimalism and conceptual art, presents a new site-specific labyrinth installation at Massachausetts’s scenic World’s End in Hingham. The work, currently on view and titled A New End, is part of a new two-year outdoor art initiative, Art and The Landscape, presented by The Trustees and curated by guest curator Pedro Alonzo, and will be open to the public through October 2017. 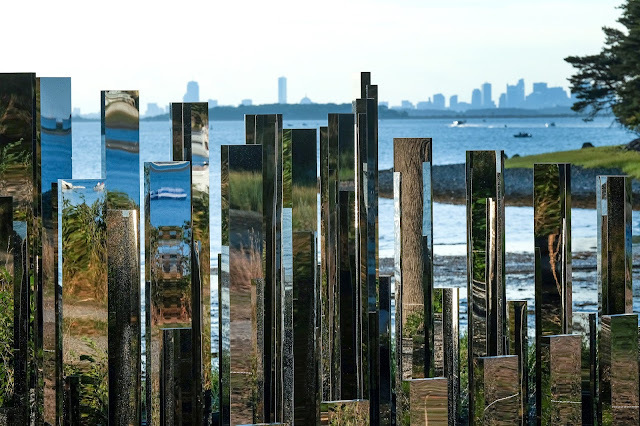 As part of its yearlong 125th Anniversary celebration, The Trustees, Massachusetts’ largest conservation and preservation nonprofit, is featuring a multi-year, site-specific outdoor art initiative entitled Art and The Landscape. 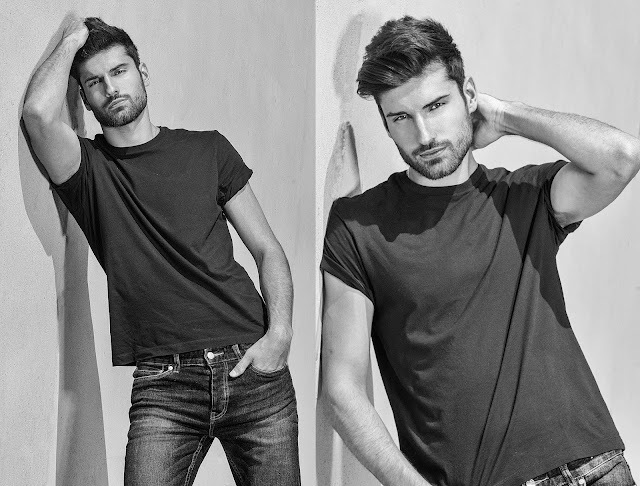 With the help of independent curator Pedro Alonzo, the new initiative is designed to present compelling contemporary art in a public landscape to create inspirational and meditative experiences for visitors at some of its most iconic and historic properties. 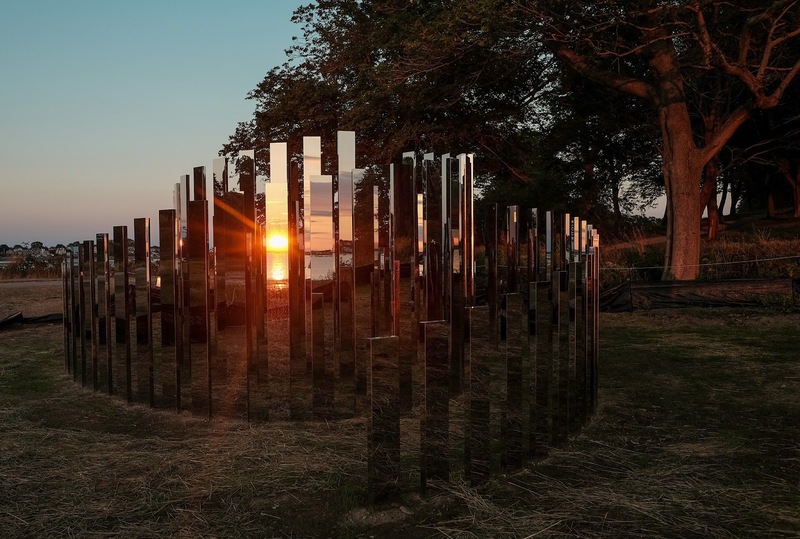 The physical structure of Hein’s reflective labyrinth is inspired by the shape of the surrounding hills at World’s End and is composed of three lines of reflective columns that create a spiral. 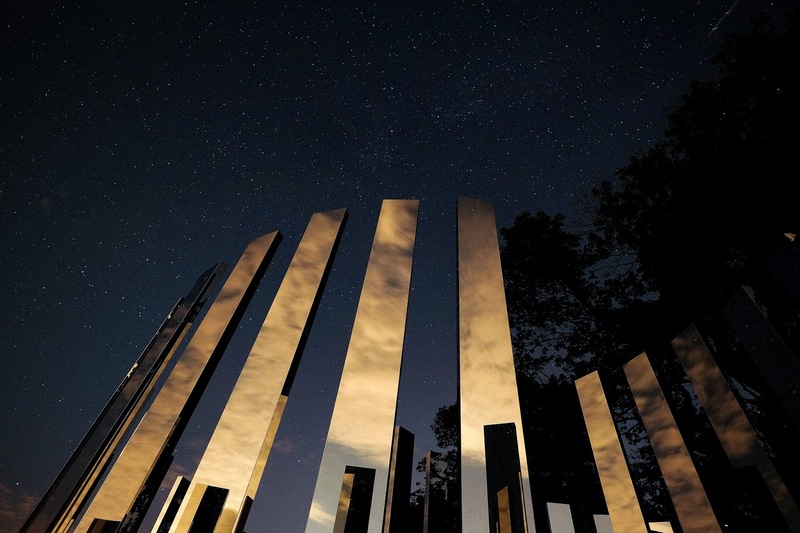 The stainless steel totems start at a height of 3 feet and rise to 9 feet towards the center. From a bird’s eye view, the configuration of the posts resembles the cross section of a nautilus shell. 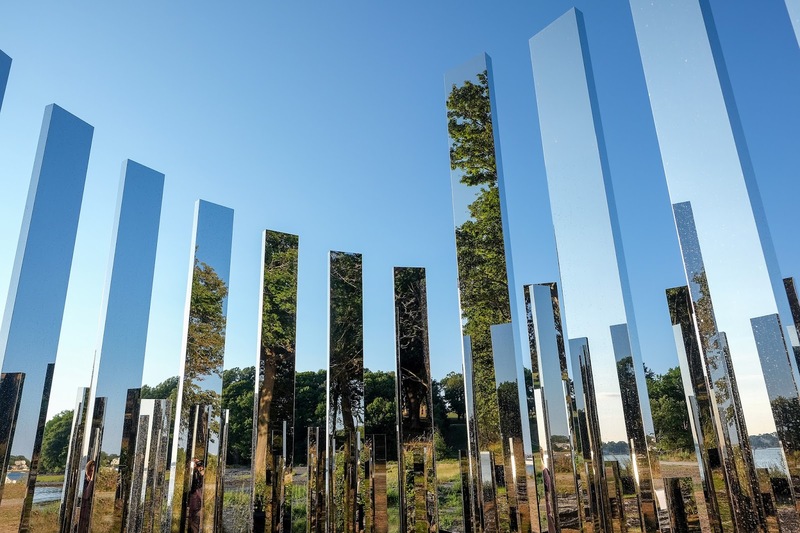 On the surface, Hein’s reflective mirror pavilions invite play and instill a sense of wonder in the viewer, transforming the public’s perception of reality through a participatory sensory experience. 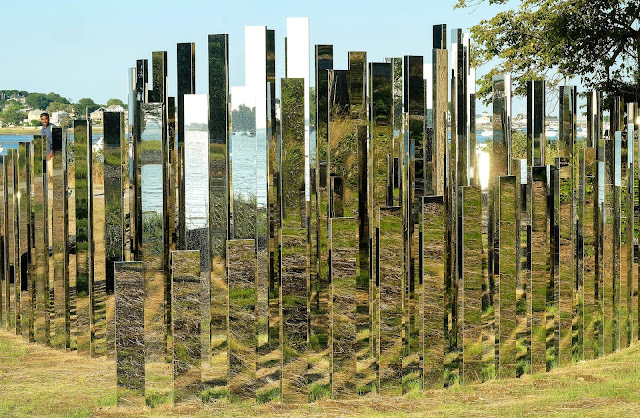 They intended to pull the viewer away from their everyday surroundings, and to lower boundaries and barriers in encounters with others. 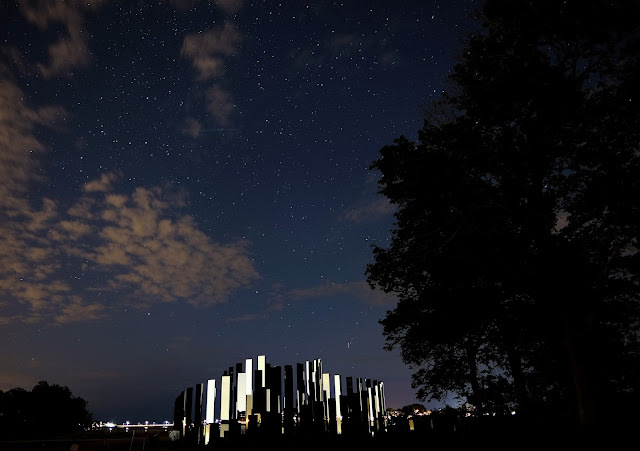 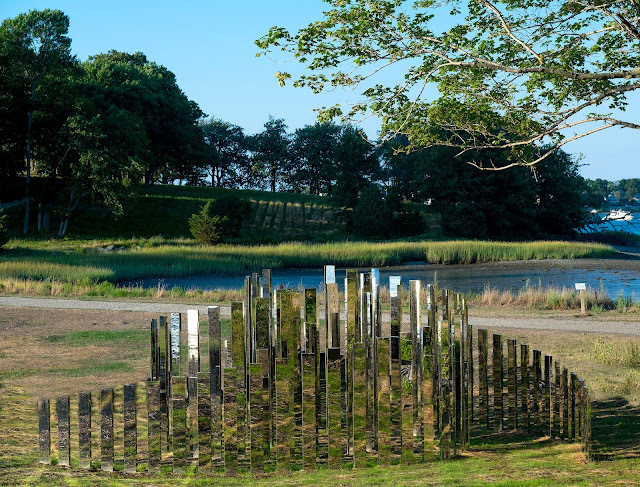 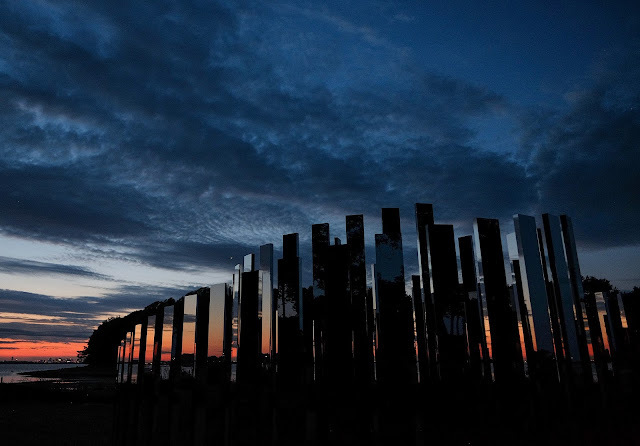 A New End, by Jeppe Hein, will be on view at World’s End in Hingham starting in August 2016 and The Meeting House, by renowned multimedia artist Sam Durant, is on display at The Old Manse in Concord, a National Historic Landmark, through October 2016.